Premium screwdrivers with Lasertip anti-cam out, precision-cut tips and extra-durable bit-grade steel blades. Patented Kraftform shape ergonomic multi-component handle for increased comfort and power transmission. 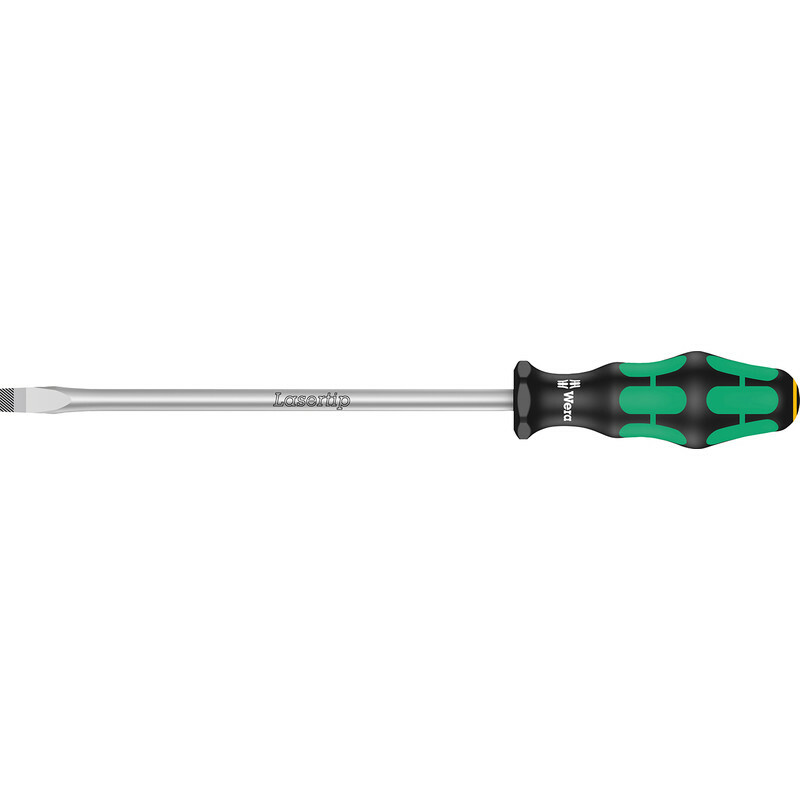 Wera Kraftform Plus Lasertip Screwdriver Slotted 10.0 x 200mm is rated 5.0 out of 5 by 20. Rated 5 out of 5 by Dali_ from Top quality Wera screwdrivers are first class products. Rated 5 out of 5 by Ollieooo from Best quality - get what you pay for. Best quality - get what you pay for. Rated 5 out of 5 by Dave T from very good grip in screw Very good product. It is nice to have good tools. Rated 5 out of 5 by Rob W from Excellent quality, a pleasure to use. Excellent screwdriver, looks and feels top quality I will replace my other screwdrivers with this make when they wear out. Rated 5 out of 5 by PHOENIX_3 from QUALITY TOOL ! The name WERA = QUALITY !